There are a lot of good places to eat in Texas and I try to make them all. 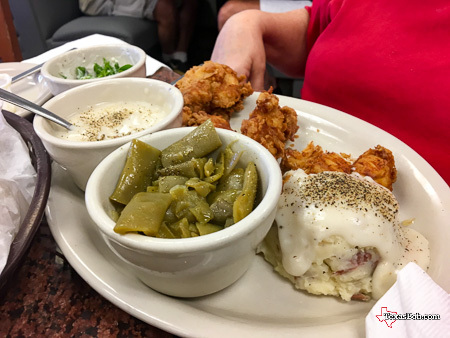 When I hear about a good place to eat I put on a mental list in my "cloud" …the one that sits on my shoulders… that says, "The next time you're in Dancer, Texas eat here." That's the way it was with Perini Ranch Steak House in Buffalo Gap years but I have eaten there twice in the past year. 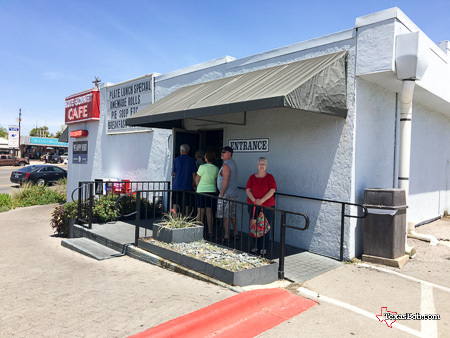 The Blue Bonnet Café in Marble Falls was one of those places on my biologic cloud list. We didn't get to the Blue Bonnet Café until 1:00 pm and the parking lot was near capacity. Someone had told me that weekends was their busiest time. The line moved along pretty well. 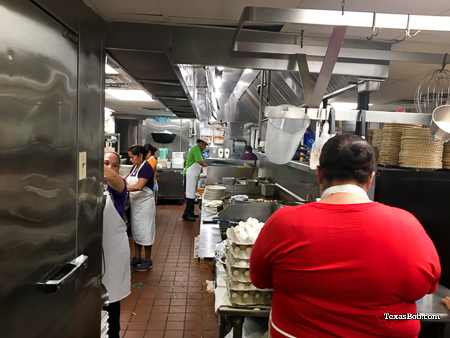 There was a side benefit to standing in line, a good view of a very busy kitchen. There are no secrets here. The staff worked quickly and efficiently to get everyone a table. We were escorted to a second dining room and it was full but they had a table for us. I ordered Mom's pot roast, Mashed potatoes with gravy and "Country" green beans. 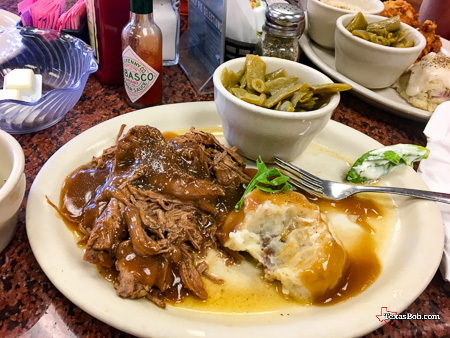 I have to confess that I spotted the pot roast on someones plate as I was escorted to our table and it looked good and was good. 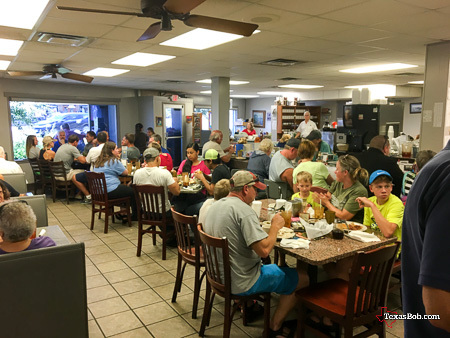 So why are folks willing to stand line to eat at the Blue Bonnet Café? 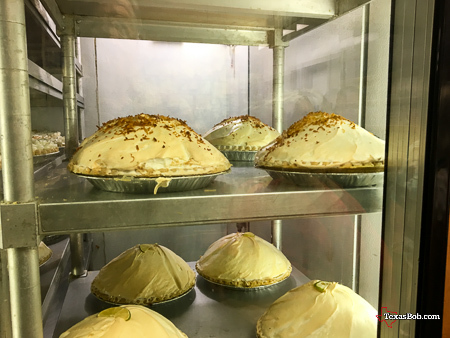 They have been in business since 1929, the food is great, the wait staff is fast and friendly but the real reason they come to the Blue Bonnet Café are the pies! The pies are great. We ordered two pieces of coconut creme pie to go and enjoyed them that evening. My Mom was the best pie cook I've ever known and these pies are very close to be as good as hers.